We had just gotten our first horses and were still trying to figure out what the foxtrot was when we attended the 2000 Ozark Festival. David Ogle rode in on a horse that immediately grabbed our attention and stole our hearts. We didn’t know her name … Patriot’s Traveling Spitfire. We didn’t know her pedigree … her sire, Outlaw’s Patriot, was the 1997 World Grand Champion and her dam, Sundust’s Spitfire, was a World Grand Champion mare. We didn’t know that she herself was already a champion. 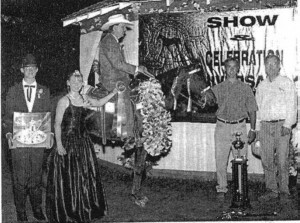 She had won the Reserve Open Championship at the Breeder’s Cup and went on to win the Open World Champion Mare competition at the Celebration. We didn’t know any of this. We just knew that she was beautiful, had awesome rhythm, power, grace, trotted her head off and we wanted her. 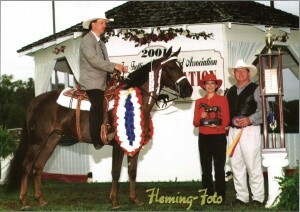 The 2001 show season turned out to be no exception in Fancy’s pursuit for a garland. She went to the Ava Spring Show and won the 4 Year & Older Championship. At the Breeder’s Cup she won the 5 Year & Older Championship … scoring lst on all 5 judges cards. We went to Celebration feeling a lot of excitement and pressure. The competition is always at it’s highest there … Fancy would have to be hitting on all cylinders. She rose to the occasion and went out on Thursday night to win the Open Mare Championship with an exceptional performance that all five judges awarded first place. A terrible storm blew in to set a difficult stage for Saturday night’s championship classes. It was after midnight when 14 wet and muddy horses and riders entered the ring for the final class of the night… the World Grand Championship. We had knots in our stomachs and could hardly breathe as we watched from under our umbrellas. I couldn’t hold back my tears when they called number 611…Fancy’s number. What a thrill! What an honor! What a way to top off her show career; one that now included winning three World Grand Championships. Patriot’s Traveling Spitfire, winner of World Grand Champion 2 Year Old Class (No Canter), owned by Brian and Darrell Odom, Summersville, MO; shown by David Ogle, Marshfield, MO. 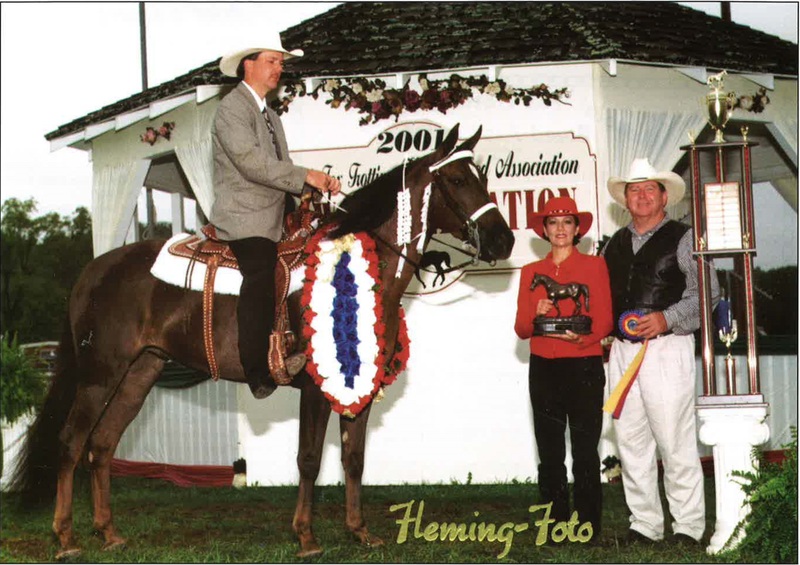 Brian and I have been involved in breeding and raising registered Peruvian Paso horses for several years and first became involved with the Missouri Fox Trotters in 1993 and began showing amateur in 1996. With our limited scheduled as owner/operator of Bay Creek Manufacturing in Mountain View and Summersville, Missouri, we decided early on that we would not be able to afford the time required for horse training along with our other hobbies of hunting, fishing, and flying. The decision was made to use a professional trainer and the search was on for the best young show horse available. We first saw Patriot’s Traveling Spitfire (Fancy) on video when she was two months old. She is out of the dam Sun Dust’s Spitfire and the stallion Outlaw’s Patriot. We felt very confident in her bloodlines and her conformation and gait at two months of age was outstanding. Brian took one look and immediately said “This is the one, she has the potential.” We purchased her from Leslie Hair and she was brought home in September of 1996. We contacted David Ogle early on and he agreed to be her trainer. For the next few months we eagerly watched her grow and mature. At about 18 months we still felt she possessed the ability to be top show contender and it was time to go to training said, “Here’s your one chance Fancy, don’t let me down,” and the name stuck. She’s been known as Fancy ever since. We would like to thank Leslie Hair for allowing us to purchase this special filly foaled by her champion mare. Thanks to David Ogle ·for his dedication in training and riding her to the Championship. 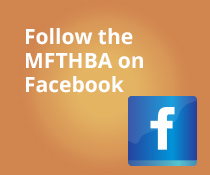 As a breeder involved in other breeds, I would especially like to thank the MFTHBA for a professional show, show facilities and publications made available to its members at a very nominal membership fee. We eagerly look forward to the future as members of this fine association dedicated to a great horse.